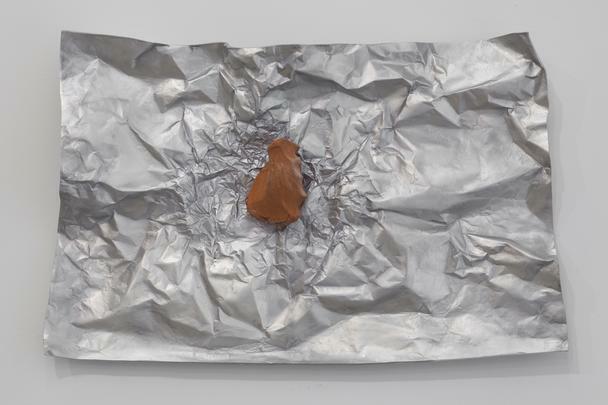 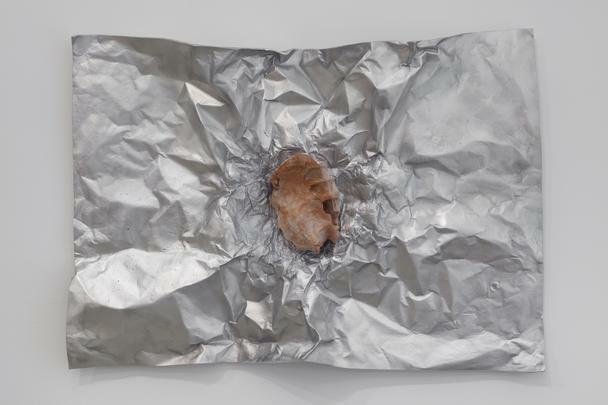 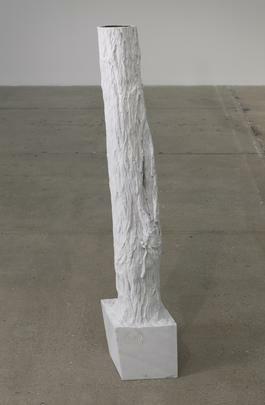 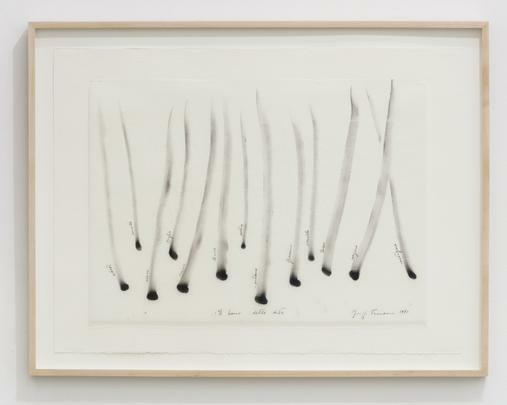 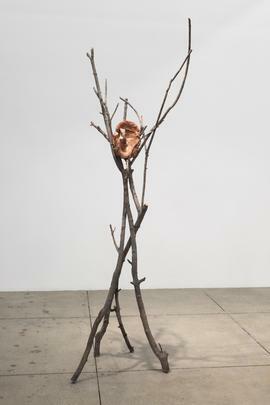 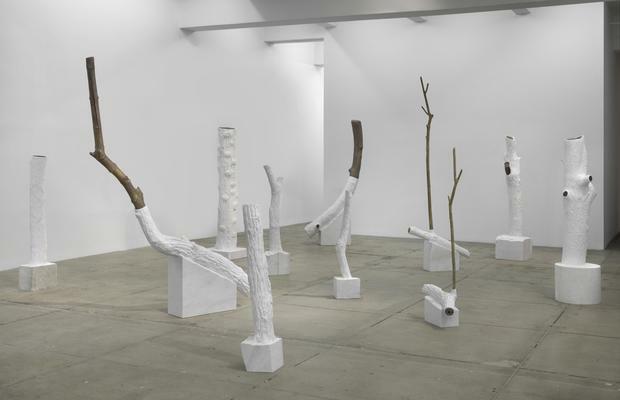 Marian Goodman Gallery is pleased to announce an exhibition of new work by Giuseppe Penone, curated by Dieter Schwarz which will open on Wednesday, March 18th and be on view through Saturday, April 25th. 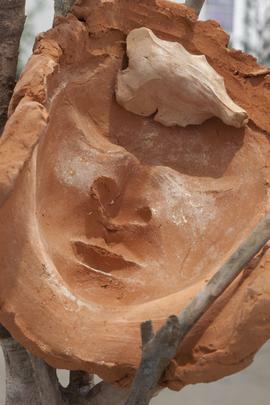 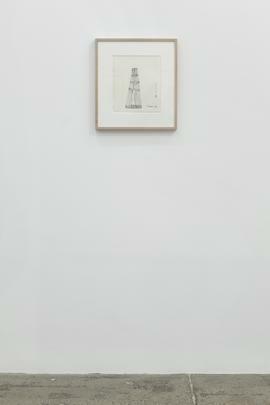 The exhibition assembles some of the core ideas of the artist which have guided him from his beginnings. 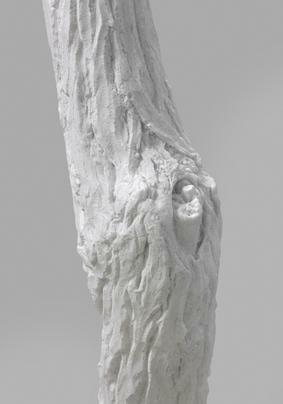 In the North gallery it is the form of sculpture created by the touch of one material on another, by the forces of growing, by the hand of the artist, or by human breath, the trace of pure existence. 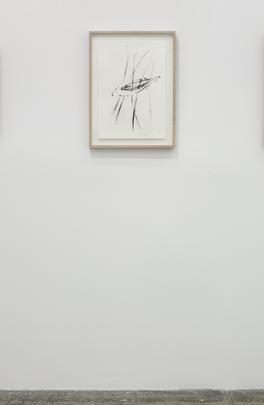 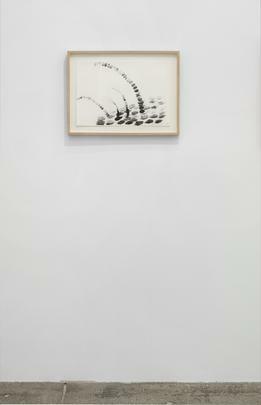 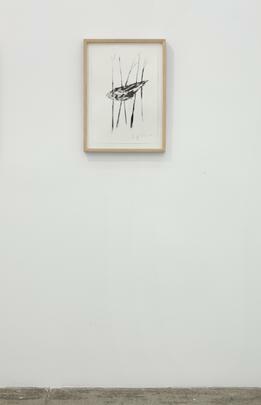 In the South gallery, it is the form derived from the artist’s approach to reality, i.e. 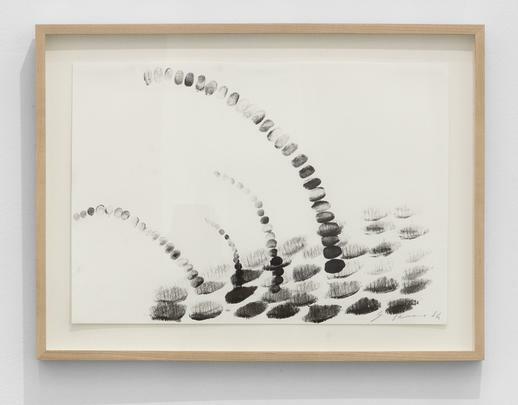 from touching and seeing – the becoming of a form following the propagation of the eye’s look onto the world or the mere imprint of the fingers on a surface. 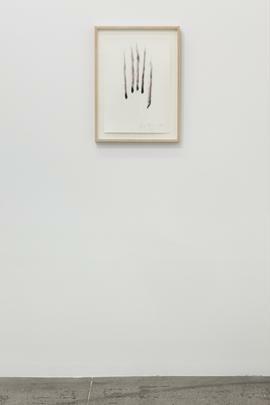 And in the Third Floor gallery it is the grasp of the hand which tries to capture what is escaping, the paradox of trying to give a fixed form to the flow of reality. 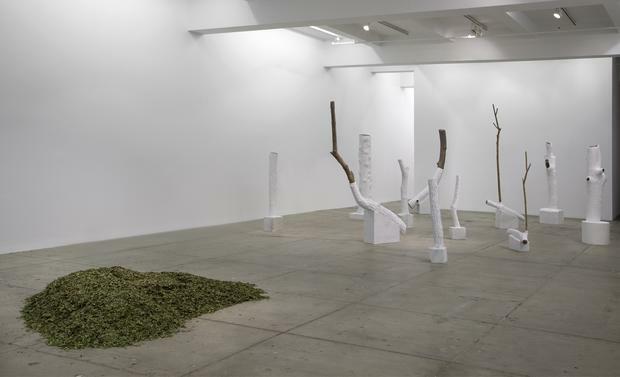 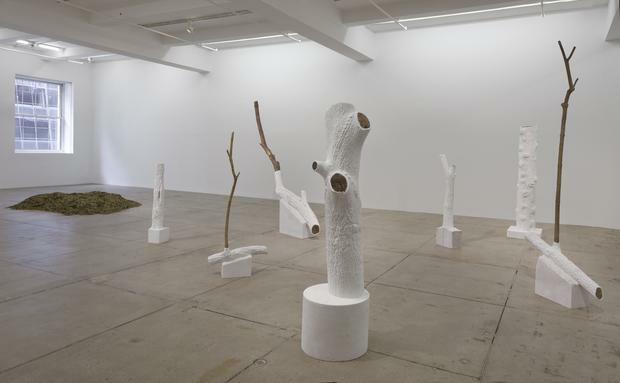 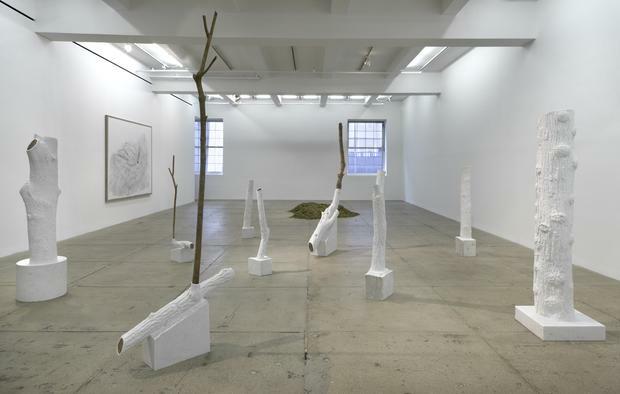 Penone creates poetic metaphors for these experiences, and in the exhibition these metaphors correspond with each other as they grow out of the classical and ephemeral sculptural material he utilizes: glass, marble and bronze, as well as live trees and dead leaves. 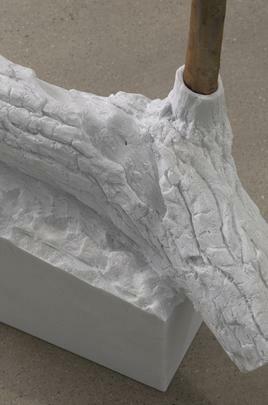 A selection of key early works from 1970 to 1997 will be shown in conjunction with a series of new sculptures in bronze and marble which reflect the show’s title, Indistinti confini/ Indistinct Boundaries. 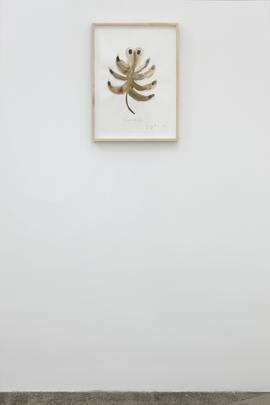 The early works include Soffio di foglie / Breath of leaves, a floor sculpture of myrtle leaves from 1979-2015, which will be accompanied by a more recent and related work on canvas, as well as the major object Gli anni dell’albero più uno / The years of the tree plus one, 1969-2013. 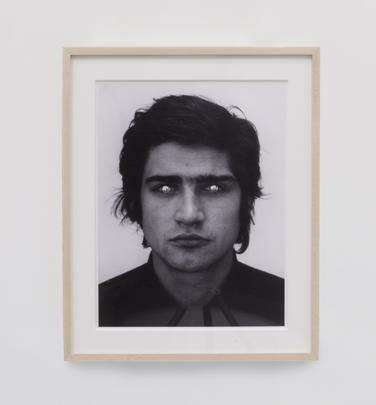 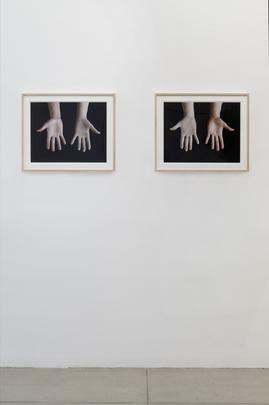 Early photographic works include the black and white photograph, Rovesciare i propri occhi/ To reverse one’s eyes, 1970, and Guanti / Gloves, a pair of two color photographs from 1972. 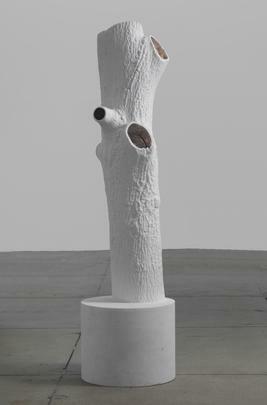 Propagazione dello sguardo/Propagation of sight, 1997, a group of seven trees in pots with a glass element will also be shown. 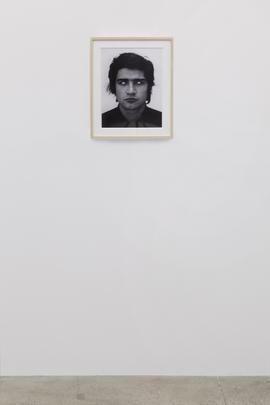 The exhibition will be accompanied by a brochure with an essay by Dieter Schwarz. 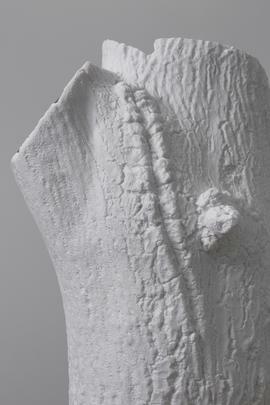 A full exhibition catalogue will follow this June. 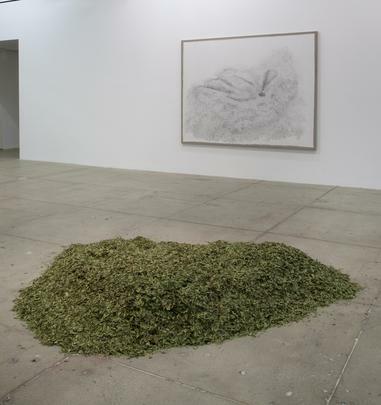 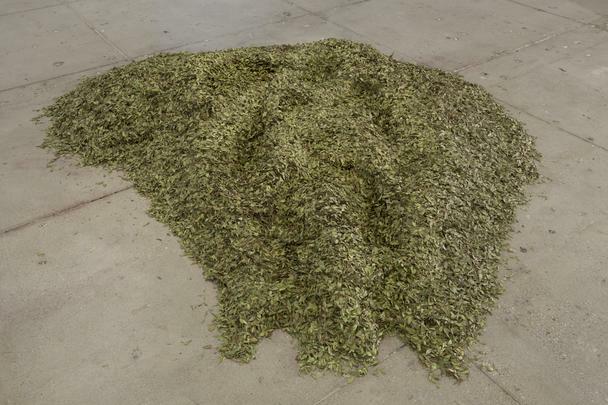 Soffio di foglie/ Breath of Leaves, 1979-2015 records the impression of breath and the artist’s body on a pile of myrtle leaves on the gallery floor. 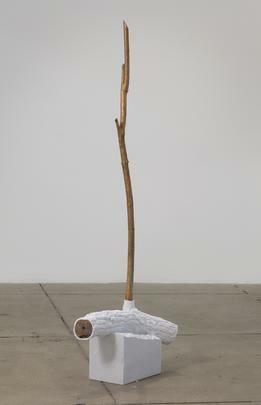 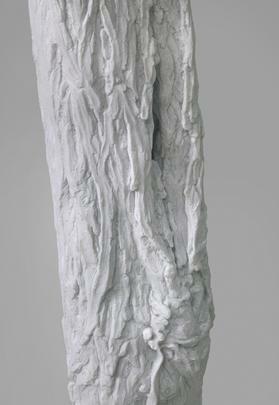 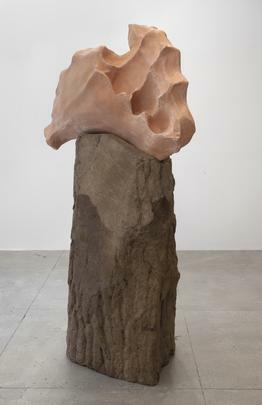 Breath, the element representing life and the body, is used here as the constitutive tool of sculpture, just as breath and the imprint of the body are made manifest in much of the artist’s work since the 1970s, reiterating the relationship between man and nature, nature and sculpture. 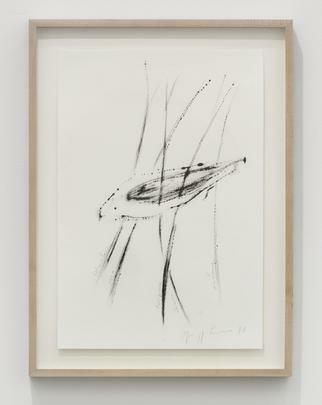 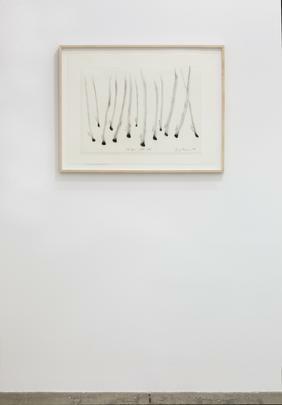 A new work in acrylic on paper titled Breath of Leaves accompany this signature work from 1979. 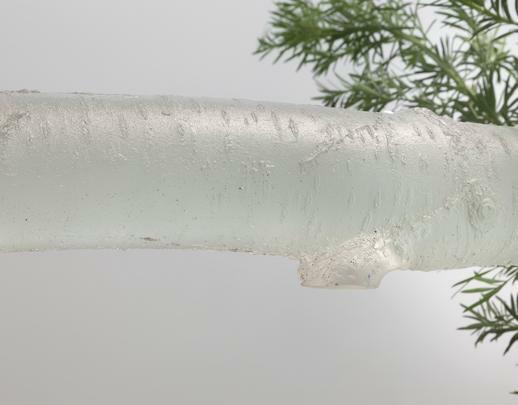 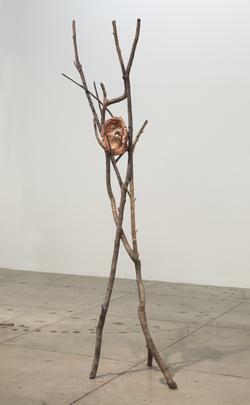 Propagazione delle suardo/ Propagation of Sight, 1997, presents a series of trees in pots supporting a glass tree which itself becomes an image for the propagation of sight. 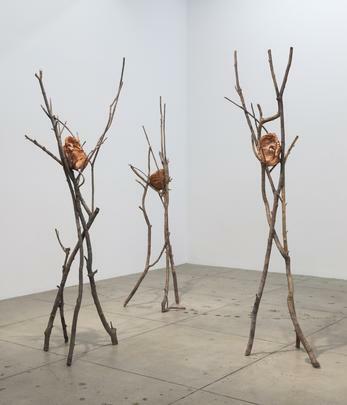 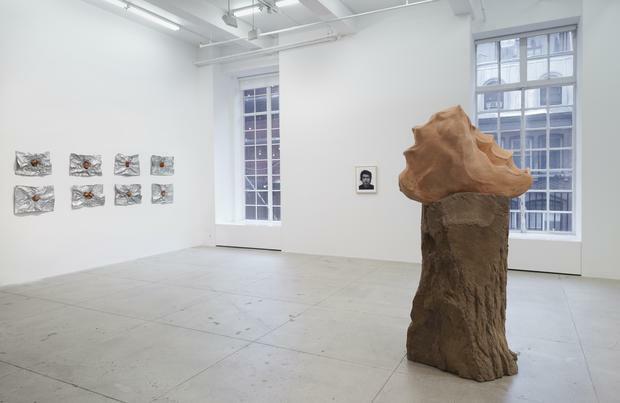 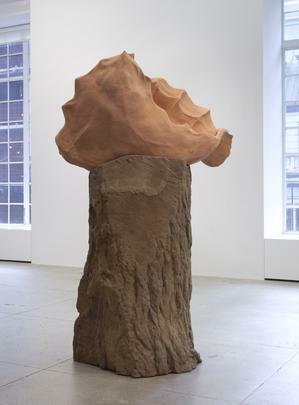 In this gallery, Penone creates a forest of natural forms punctuated by the small group of Terra su terra- Volto/ Earth on Earth – Face, 2014, bronze trees with individual terracotta forms holding the impression of the touch—of face and hands--resting within. 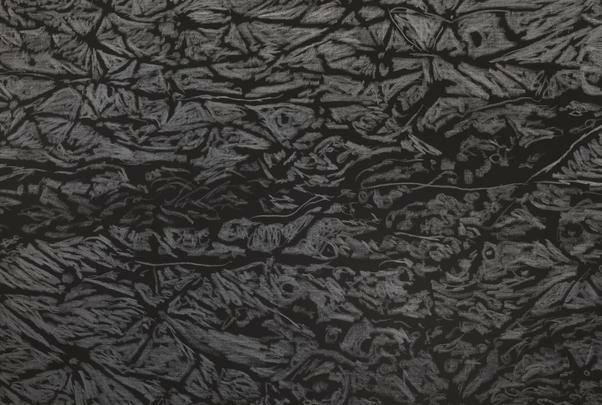 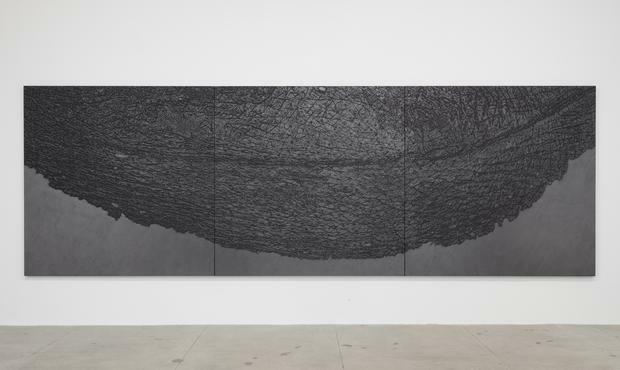 Pelle di grafite-palebra / Skin of graphite- eyelid, 2012, a large graphite triptych on black canvas refers again to landscape, this time of the body as revealed through its patterned matrix of the skin depicted in a surface imprint of a closed eyelid. 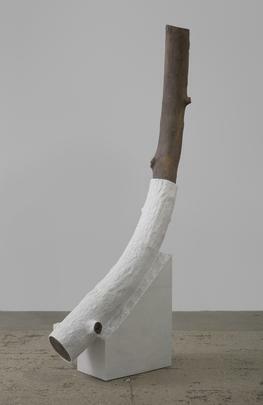 Penone refers to the closed eyelid as a “curtain, screen, projection of the glance”; it defines “the limits and space of thought or the fullness of sculpture as opposed to the emptiness of seeing”. 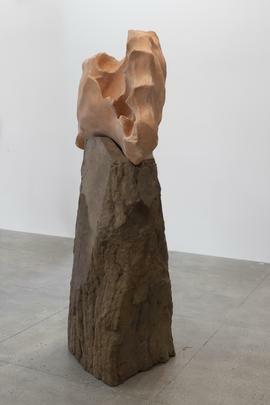 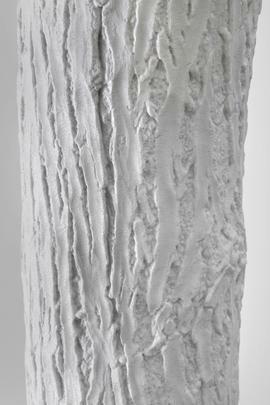 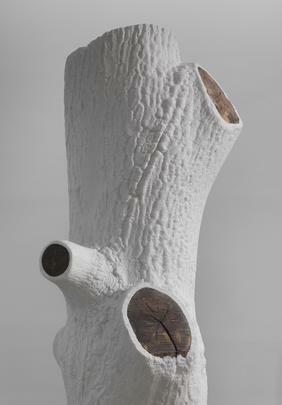 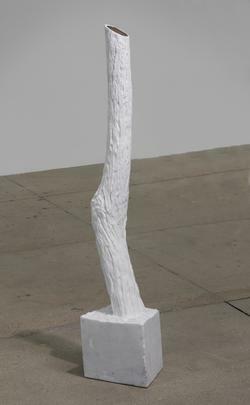 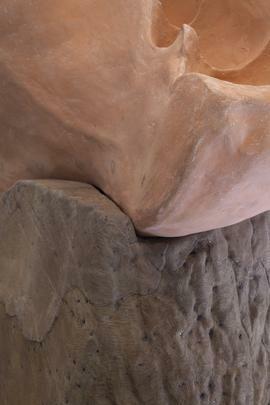 Penone recently received the prestigious Praemium Imperiale International Arts Award for Sculpture in 2014. 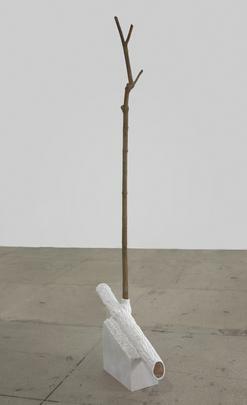 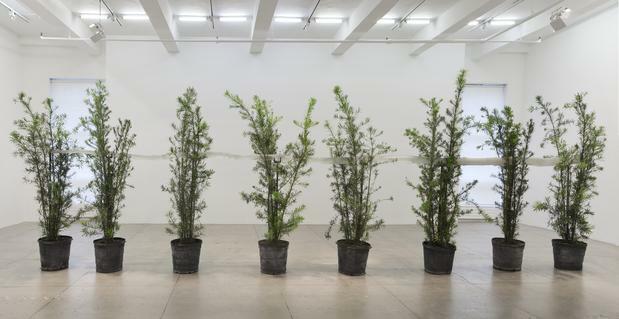 Giuseppe Penone’s recent solo exhibitions include Giuseppe Penone - Breath Is A Sculpture, at the Beirut Art Center, Lebanon (2014); Giuseppe Penone, at the Musée de Grenoble, France (2014); Penone Versailles, at the Château de Versailles, France (2013); Giuseppe Penone, at Kunstmuseum Winterthur (2013); Giuseppe Penone: Ideas of Stone, at Madison Square Park, New York (2013) and Giuseppe Penone: Spazio di Luce at Whitechapel Gallery, London (2013). 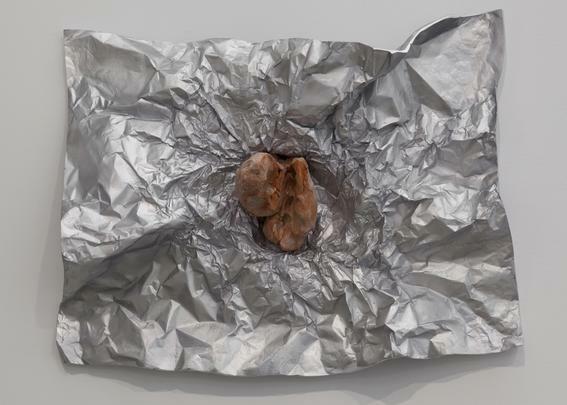 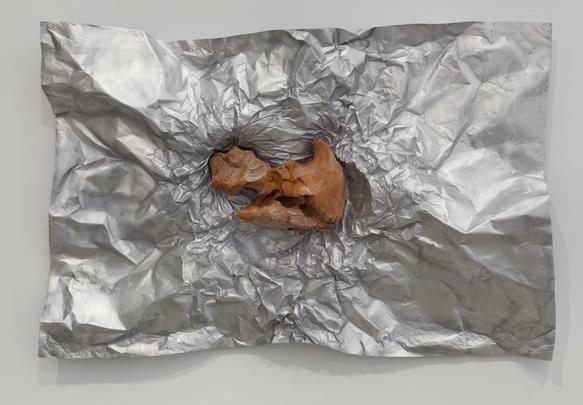 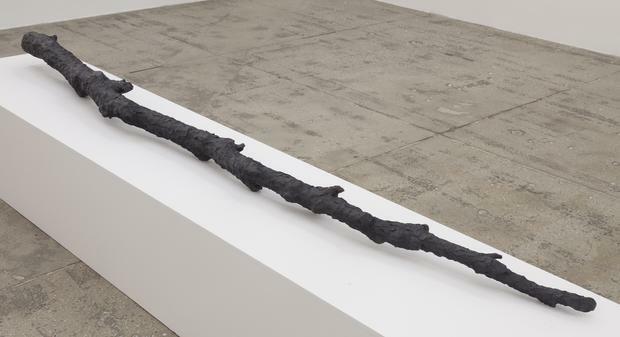 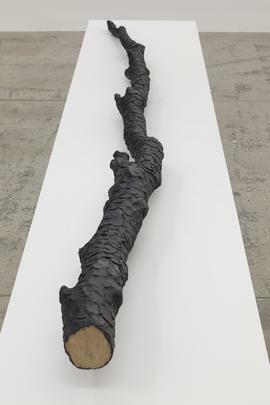 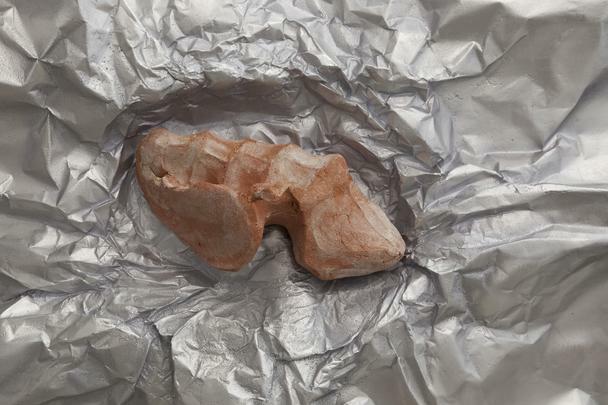 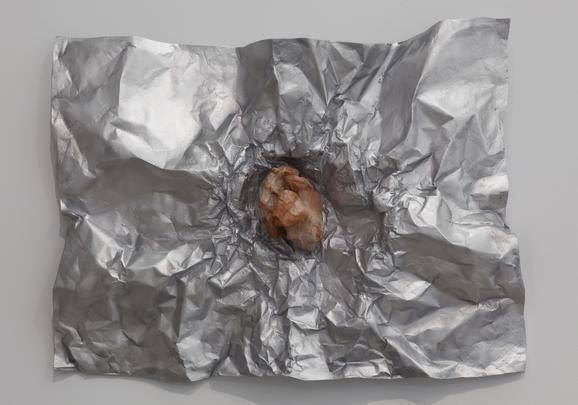 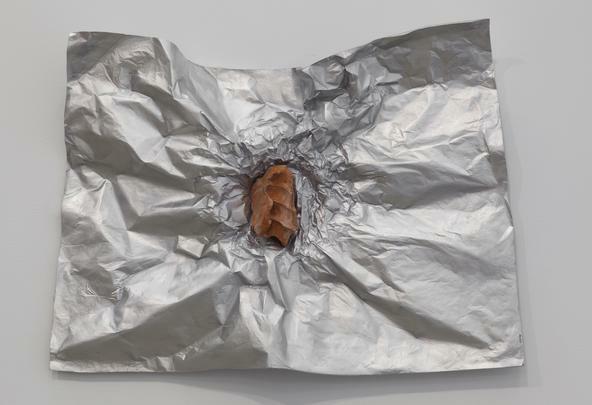 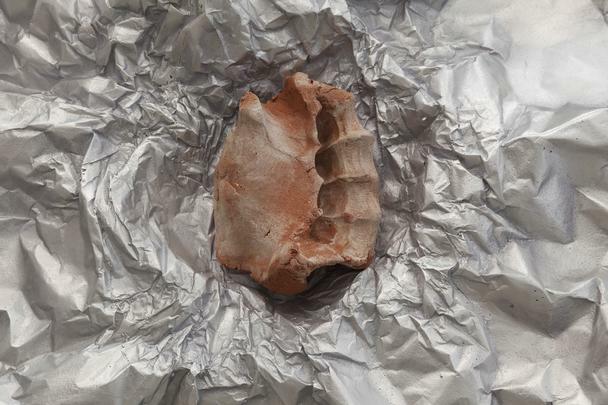 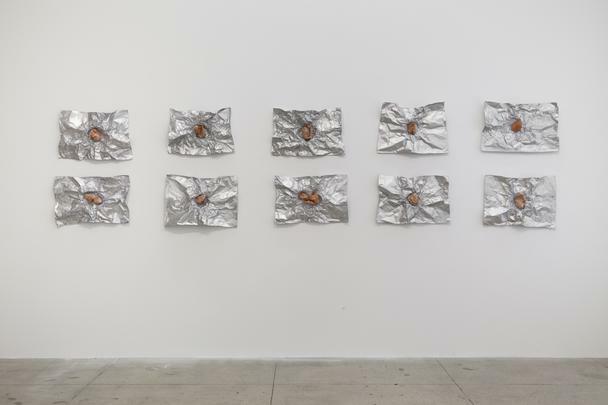 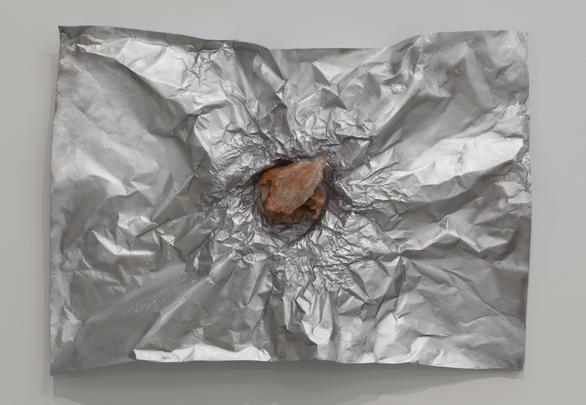 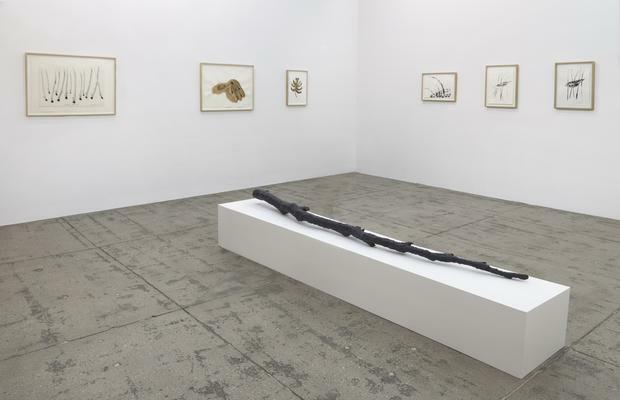 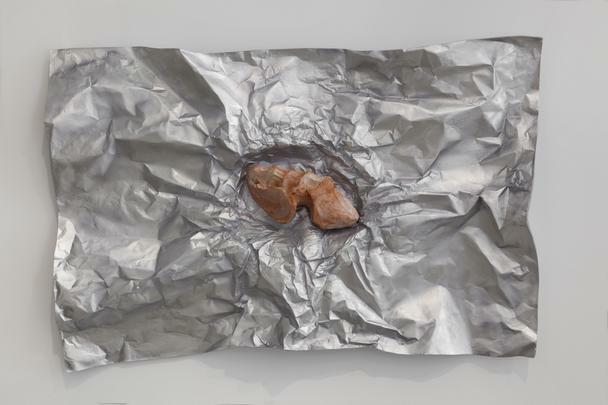 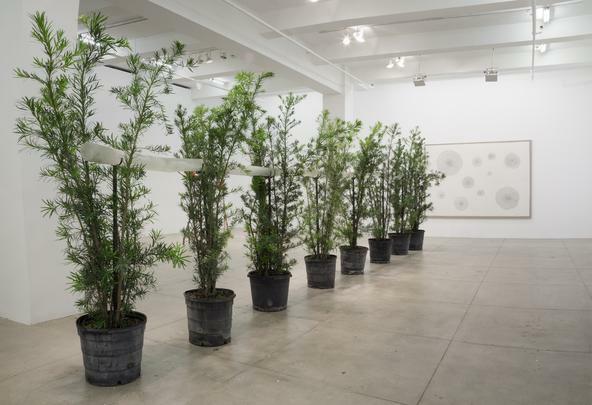 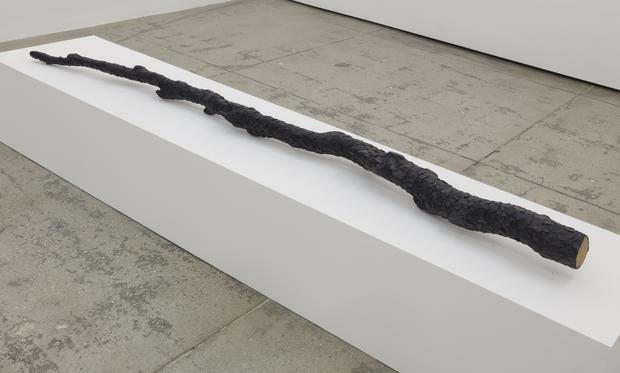 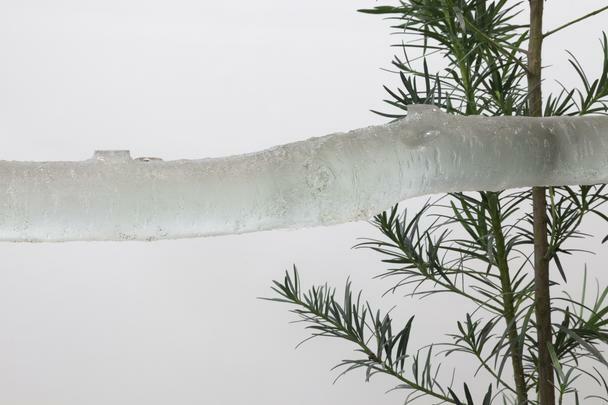 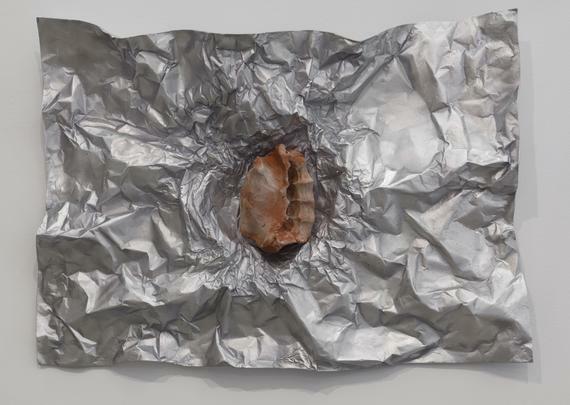 Recent group exhibitions featuring Penone’s work have been held at the Franҫois Pinault Foundation, in Punta della Dogana, Venice, Italy (2014), as well as the Fondation Cartier pour l'Art Contemporain, Paris, France (2014). 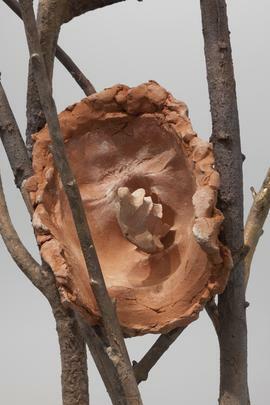 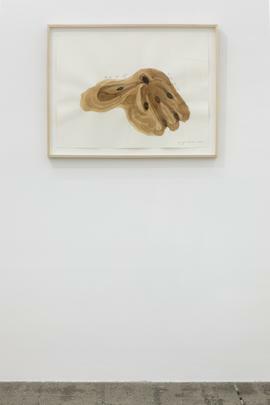 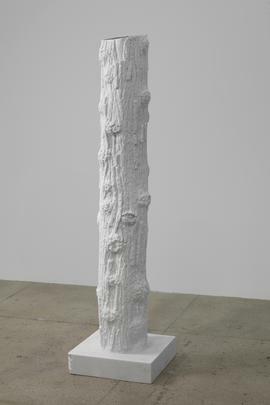 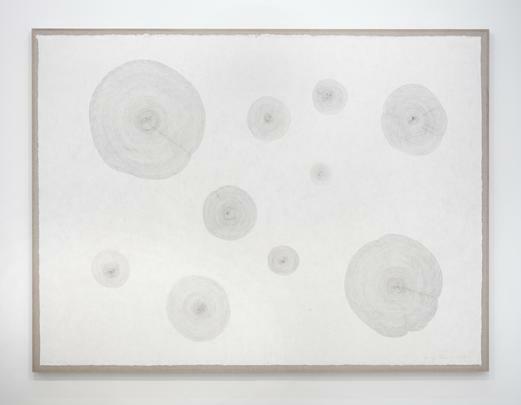 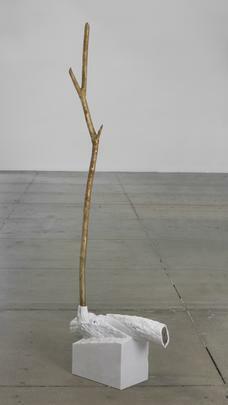 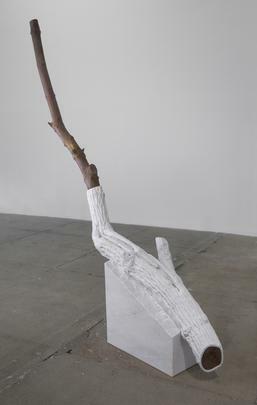 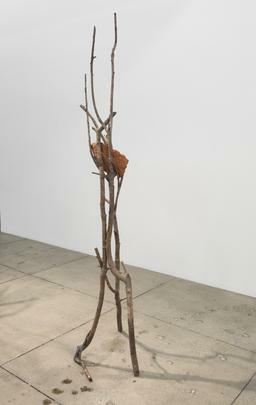 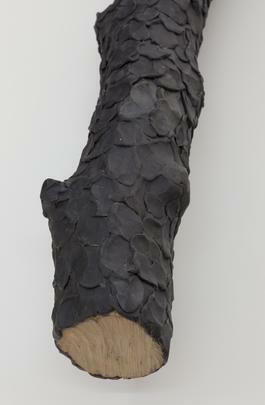 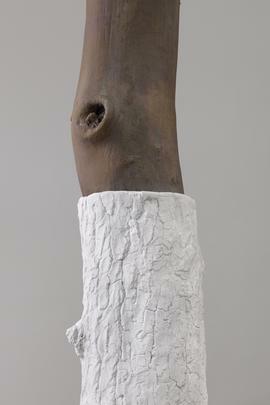 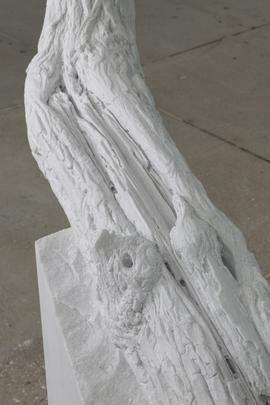 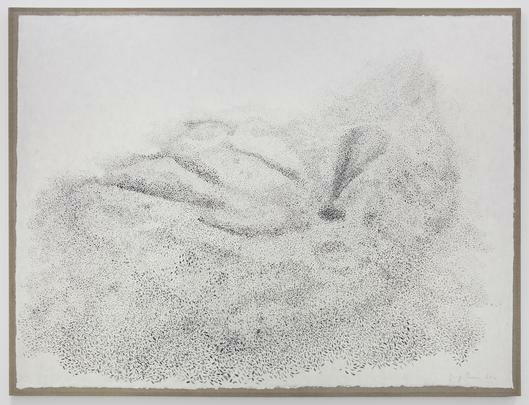 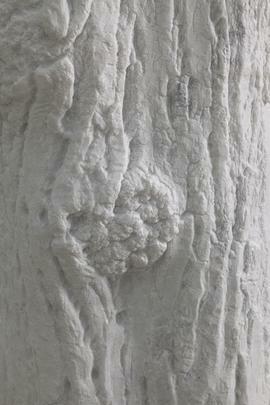 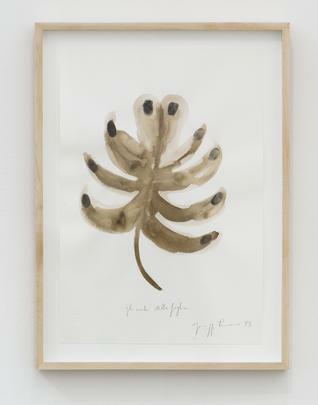 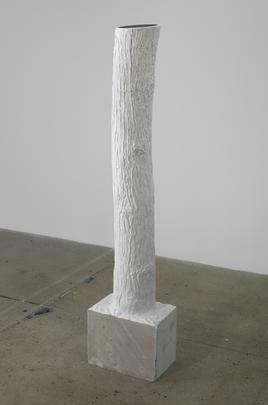 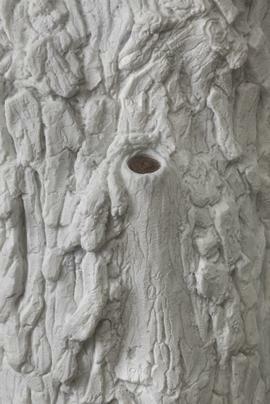 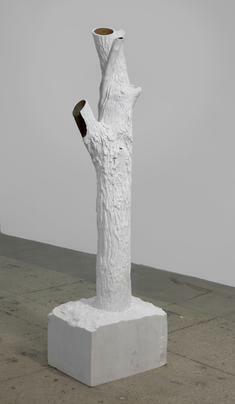 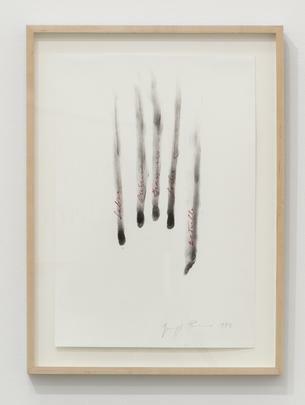 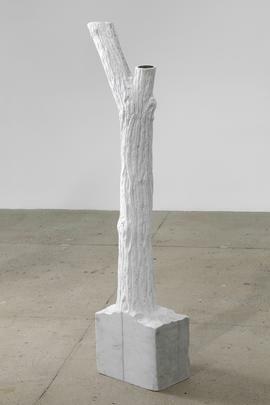 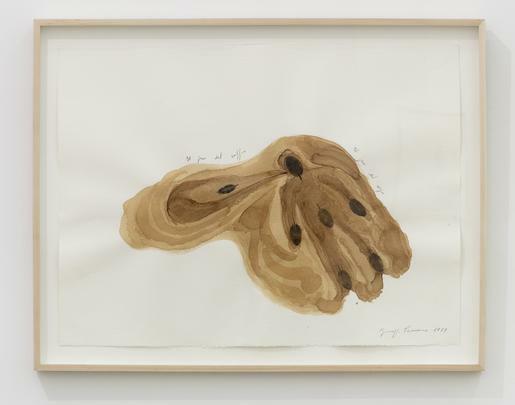 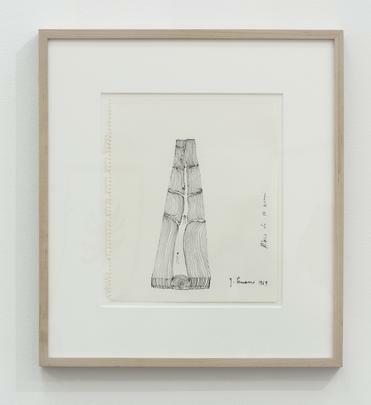 Giuseppe Penone has exhibited at Documenta V (1972), VII (1982), VIII (1987) and XIII (2012) and at the Venice Biennale in 2007, 1995, 1986, 1980, and 1978. 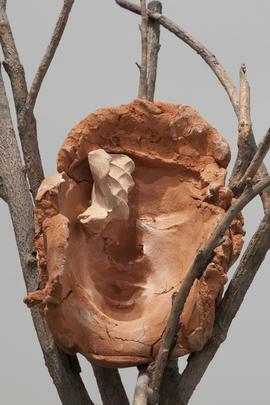 Please join us at the opening reception for the artist on Wednesday, March 18th from 6-8 pm.